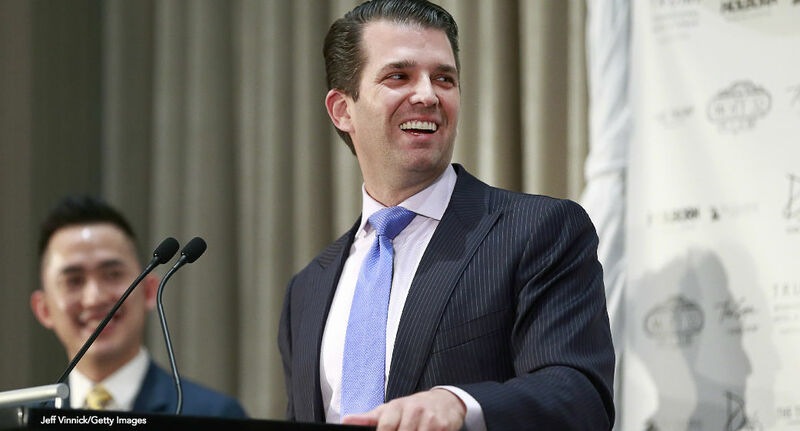 Donald Trump, Jr. is so committed to living up to his father’s motto of making America great again that he’s thinking about running for office. But he’s not looking to become the next president of the United States, just the governor of New York. According to Page Six, President Trump’s eldest son wants to continue following in daddy’s footsteps. Now that Donald Trump, Sr. has left business for politics, it looks like little Donald wants to do the same. While speaking to members of F6 Labs gun club in Hicksville, NY, Don Jr. said he’s “interested in running for office, such as governor of New York,” and “the position of mayor of New York would be less interesting to him,” a guest in attendance of the F6 Labs meeting told Page Six. As Don answered questions about his newly-found political ambitions, he said being a member of Congress or one of 100 senators was not an option. New York’s current governor, Andrew Cuomo, is up for re-election next year, and considering he and President Trump don’t often see eye to eye when it comes to the important things like immigration, healthcare, climate change, and gun safety, Don may see this as the perfect opportunity to make daddy proud(er).